Mike Gronstal testifies against new rules for employee misconduct at a subcommittee hearing. Nicole Crain of the Iowa Association of Business and Industry testifies before a House subcommittee. The bill outlines 16 specific examples of misconduct, but it also states that benefits could be denied for other reasons. Rep. Bruce Hunter, D-Des Moines, said that’s both too specific and too broad. 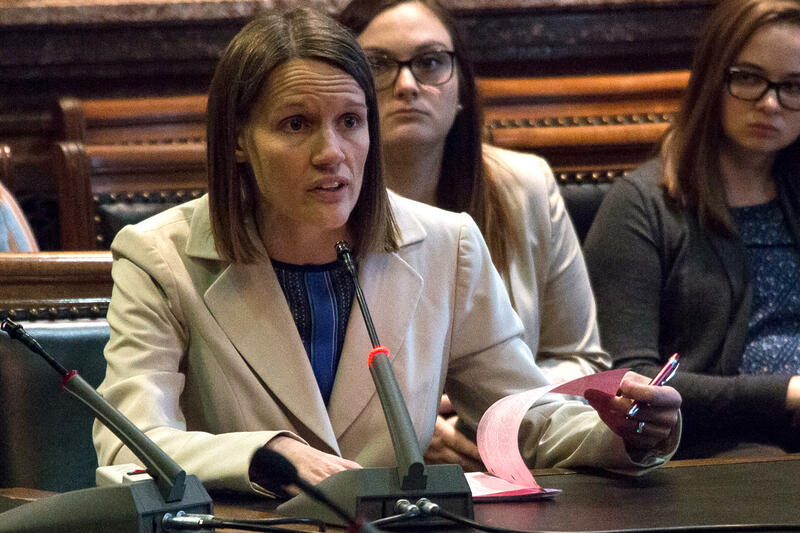 Several labor union representatives testified in opposition to the bill because they said some of the new rules, such as "attempting to create dissention," are too vague and could be used by companies against former employees. The bill was advanced in subcommittee and now goes before the House Commerce Committee. In order to be debated this year it must be advanced to the House floor by the end of the week.